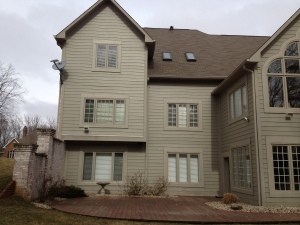 We specialize in the installation of James Hardie ColorPlus® Fiber Cement siding and products. If you are considering new siding for your home, we strongly recommend selecting fiber cement siding. Fiber cement is more durable and energy efficient. It offers the beauty of wood without the need to maintain and paint over time. With all James Hardie® ColorPlus® siding, you won’t only get gorgeous color—you’ll get color that lasts longer than a typical paint job. We can also paint any James Hardie products to suit your needs. 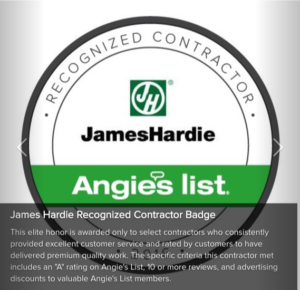 Find out more about James Hardie exterior products.